Honolulu Community College will be closed for business on Friday, 8/8, and Saturday, 8/9, due to anticipated severe weather conditions and possible flooding caused by Hurricane Iselle. Employees affected by the closing of the campus should not report to work and shall be granted administrative leave for Friday, 8/8. Essential employees will be called on an as needed basis. We have already canceled all classes and activities through Monday, 8/11. Please monitor your UH alert text and email messaging for further updates as the impact of Iselle and Julio are evaluated. Please check with your immediate supervisor if you have questions. 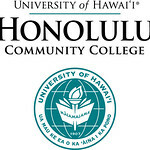 Honolulu Community College will be canceling all campus activities and classes on Thursday, 8/7/2014 that occur after 4:30PM through Monday, 8/11/2014. Offices will remain open until further notice.